Welcome to a simpler way to find the right cover. We'll help you get the insurance you need at a great price. Learner Driver, Young Driver, New Driver, First car, Student Car Insurance. Quick and easy to get a quote. 3 star Defaqto rating. Save your quote and retrieve later. Buy your car insurance online today. UK call centres for customer service. Save 10% off servicing and 20% off MOT costs. Replacement car included as standard on comprehensive policies in the event of an accident. 24 hour windscreen and glass cover on comprehensive policies. Courtesy car for as long as your car is being repaired. Lifetime guarantee on repairs for as long as you own the car. Wrong fuel cover. 24/7 emergency claims lines. 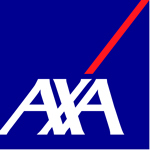 With AXA you'll get car insurance you can count on - we pay out on 99.7% of claims (see website for more details). As well as being ready to help 24 hours a day, every day, you can rely on car insurance awarded Defaqto’s 5 Star Rating – the highest standard. If you are planning to buy a new car, it is vital to take a good look at the car insurance policies available on the market. On the other hand, if you already own a vehicle, take a closer look at your current contract with the aim to take advantage of considerable savings. By regularly changing your contract to suit your situation and vehicle, you can pay less or enjoy better coverage. Online comparison tools can help you make the right choice by presenting the most suitable offers based on your profile. However, avoid the temptation to focus on the price alone because very cheap car insurance is not necessarily the best. Experts recommend that you always compare the price to quality ratio. That is, the coverage offered for the asking price, incorporating all the additional costs of essential options. To select the most suitable policy, start by carefully examining your specific needs and your vehicle. It is hardly prudent to insure an old car at all risks because it will cost you more for the coverage offered. In the same way, if you drive a new car several hours a day, you should take the most comprehensive cover. Three main types of contracts are worth considering. All risk insurance includes the extended third party options, which in turn provide more than the basic third party cover. On the other hand, it is important to note that all contracts are customizable, which allows you to add options. To lower your rate, you can always play on the level of coverage. If you drive occasionally or your car has a low value, basic third party insurance is often enough. It incorporates the minimum required by law, namely civil liability, which covers the damage caused to third parties in case of an accident (passengers, pedestrians and other drivers). In addition, it also comes with a legal defence component in the event of lawsuits. It is imperative to add a personal injury component to the basic contract. Without it, you will not be covered for possible injury to your person if you crash. Finally, choose a contract that pays a large death benefit if you die in an accident. Some insurance policies are limited to a few thousand pounds, a largely insufficient amount. Opt for plans that provide at least £200,000 or £400,000 if you have children of school going age. This type of insurance is recommended for newer cars or if you use your vehicle regularly. For instance, to get to work every day. All extended third party policies incorporate the basic third party formula with the addition of useful extras, such as the breakdown and accident guarantee, which offers a breakdown and repair service with the AA in the event of a puncture, mechanical failure or breakdown of your vehicle. Depending on the options chosen, coverage can be variable. Some contracts only work if you need assistance at a location that is 30 or 50 miles from your home. They are useless if you only embark on short trips. As such, it is better to opt for a “0 km coverage” that will take care of you even close to your home. Meanwhile, the broken glass option makes it possible to change a broken windscreen, except that all insurers do not necessarily include side and rear windows, rear-view mirrors, headlights or tail lights. Finally, note that some extended third party formulas incorporate the theft cover. These contracts are ideal if you own a new car or if you drive every day. In fact, all-risk insurance policies cover you against all risks and, above all, insure your vehicle even if you are declared responsible for the accident. Thus, they integrate the third party insurance, a breakdown and accident component in addition to theft and fire. In case of disaster, they generally offer you a replacement vehicle during the repair period of your car. Theft guarantees differ depending on the type of contract: some protect against the theft of your vehicle, others against theft with violence. Depending on each case, this cover may also provide for a theft cover of the belongings stolen in the vehicle. If you are a victim of a serious accident and your car is a write-off, it will be refunded at its new value within six or 24 months following the subscription of the contract. However, there are some key differences. The most protective contracts are significantly more expensive than those that insure all risks with the minimum of guarantees. The world of automotive insurance is complex, especially if you have never bought one. When you decide to compare car insurance, make an effort to learn how it works and request car insurance quotes from multiple insurers. Additionally, you should familiarize yourself with the contract and identify factors that influence your premium. With this information, proceed to do your calculations for the temporary car insurance or budget insurance. Without coverage, you will not only pay for the breakdown of your car in an accident for which you are responsible, but most importantly, you will also pay for all the expenses related to the third party liability. In addition, you could even collect a fine since the law requires the owners of a car to hold an insurance policy. Insurance groups offer well-designed plans from which to choose. You have the option to pick a multi car policy. The insurers offer a direct line access to experienced agents that can help you find answers to any questions regarding automotive insurance. Policies are more expensive for drivers with little experience and men pay more than women. You do not have much control over certain factors, such as your age but you can control your behaviour on the road. Depending on your situation, it may be tempting to change one or two details to lower your premium. However, inaccurate information can lead to the cancellation of your contract. Before you take out your car insurance, evaluate your options and the risks you can manage. You can obtain insurance quotes from an agent employed by an insurer or broker. Brokers sell the products offered by firms like Tesco, Hastings and Churchill. Before you buy, compare insurance policies sold by at least three companies. You can conduct research online or check out insurance comparison sites that will compare offers for you. These tools will save you time, but they offer less precision than an agent. When you receive the quotes, compare price variations between insurers, which can be double. You will also notice that coverage varies significantly. Third party auto insurance provides substantial savings compared to all-risk protection. It is recommended that you compare the offers to choose the best policy suited to your needs. One of the great benefits of third party auto insurance is customisation through optional guarantees. It is an intermediate insurance between third party insurance and all-risk insurance. Its formula adds a number of guarantees.